Our services offered include: Comprehensive physical examinations, preventive medicine, vaccinations, parasite control, in-house laboratory and diagnostic testing, ultrasonic teeth cleaning and dental procedures, internal medicine, laser surgery, radiology, professional grooming and long/short-term boarding accommodations. Several of our vets have a passion for the care of pets beyond dogs and cats.Proper knowledge of how to care, house and feed these special creatures is critical.We encourage wellness appointments with our doctors so they can educate pet owners on best practices.We value our exotic patients as much as our canine and feline patients, and we provide the same excellent standards of care for all. We know that an emergency involving your pet is terribly stressful, and we’re prepared for this. Our veterinarians are trained in triage and pain management to assess and alleviate pain in your pet as soon as possible.We have excellent working relationships with emergency/specialty hospitals in Lakeland, Winter Haven, Brandon & Tampa in the event that your pet requires round-the-clock intensive care. We cannot overemphasize the importance of proactive dental care for our pets. Pets are much more likely to show signs of discomfort from dental issues. 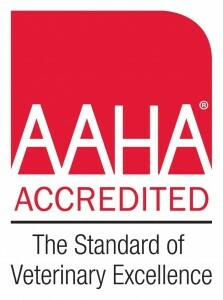 We follow the highest standards of care including the safest anesthetic protocols, preoperative pain management, and digital dental x-rays (please click this link to see our position on dental scaling without Anesthesia). Bring your pet by for a complimentary dental health assessment by one of our certified veterinary technicians! Our x-ray imaging system is digital, allowing for the finest quality of images, as well as a Board-certified Radiologist’s opinion in a matter of moments, when the need arises. Integrative Medicine combines the most advanced diagnostic tools of Western medicine with ancient healing techniques of Traditional Chinese Veterinary Medicine, allowing for additional therapy options with minimal side effects.Dr. Donna McWilliams is certified in Veterinary Acupuncture and in Canine Rehabilitation (similar to human Physical Therapy), and leads our hospital in practicing Integrative Medicine.This means we are able to improve our patients’ quality of life through therapeutic exercises, massage, cold laser, acupuncture, dietary therapy and herbal therapy. Osteoarthritis, Cancer, Kidney Disease, Paralysis, Anxiety / Seizures are just a few conditions that benefit from this technique. Laser Orthopedic surgery is used to correct musculoskeletal conditions. These conditions include degenerative joint diseases such as hip dysplasia, or other forms of arthritis. Knee pain and hip pain can also be addressed through orthopedic surgery, as can broken bones and other injuries. Through veterinary laser surgery, a veterinarian can provide orthopedic procedures with less pain, less bleeding, less swelling, a decreased risk of infection, and faster recovery times, among other benefits. When surgery is the best option for your pet, we offer the most advanced techniques and technologies. Our fully trained staff takes every measure to ensure the safety of your pet during the procedure. Your pet will be fully screened before surgery, and with our laser surgical procedures we work to minimize the recovery time as much as possible. Orthopedics: We offer surgical repair options for torn knee ligaments (see TTA repair for more info), luxating knee-caps (patellas), and the repair of some fractures on a case-by-case basis. Our CO2 Laser seals tiny blood vessels, resulting in less inflammation and therefore less pain, leading to a quicker, smoother recovery time. Soft Tissue Surgery: We use a CO2 Laser vs. a scalpel blade, as it provides the following benefits: 1) Deceased pain, 2) Reduced bleeding and blood loss and 3) Quicker recovery time. We offer a variety of soft tissue procedures here at our hospital, but if your pet would be better served at a referral hospital with 24-hr post-op care, then rest assured, we will refer you. We want what is best for you and your pet. We adhere to the latest Pain Management Guidelines published by AAHA, AAFP and the IVAPM for all species that we see. This means that we anticipate, prevent and continuously assess pain levels in our patients, and employ a variety of methods to alleviate pain. We strive to stock medications, therapeutic diets, and other products that can improve your pet’s quality of life.Should you choose to purchase products from a third party online establishment, we ask that you print, sign and return this online waiver to us [insert online pharmacy waiver here]. We partner with Veterinary Internal Medicine Diagnostics (Dr. Chris Ludlow) to offer additional imaging (ultrasound, echocardiography, endoscopy, consultations) by a Board-Certified Internal Medicine Specialist. These services are offered on-site for your convenience. Bonus: Dr. Ludlow is also a Board-Certified Veterinary Nutritionist! our year-round well-care plans offer peace of mind.We’ve taken the guess-work out of what our pets need to stay healthy – we even cover sick exams for plan participants.We have several options for each life stage, and each plan can be paid monthly (with credit card), or can be paid ‘up front’ for an additional savings.Let us meet your pet and our doctors will recommend a plan that works best for you and your family! Sometimes your pets behavior can be the result of a physical cause, and sometimes it is not. We have trained behavior specialists that can work with your pet to help eliminate issues like separation anxiety or obsessive behavior. We work to train both you and your pet to better understand each other. We will help you as an owner learn patience with your pet and how to recognize the signs your pet is giving. Microchips have reunited thousands of pets with their families. We offer microchipping services for cats and dogs and recommend that all your pets, even those that do not venture outside get microchipped. The procedure is safe and quick and will give you peace-of-mind for your pet’s life. Need more information on microchipping your pet? Need to register your pet? 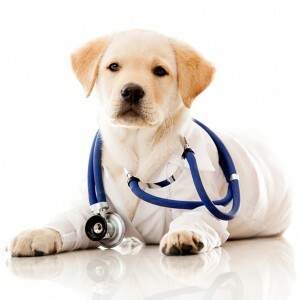 For multiple of pets within the same household that are within a 5 mile radius of our hospital, arrangements can be made for one of our veterinarians and an assistant to come to your home and perform wellness visits without having to bring them to our hospital.Lab samples can be collected and brought back to the hospital if needed. There are many benefits for your pet from a balanced, specific diet including the alleviation of symptoms of allergies and many other diseases. Our trained and certified staff will help you if your pet needs more dietary attention. Whether they need to lose a few pounds or gain some much needed weight we offer a variety of foods and supplements to help. The most tragic thing about loving many of our pets is their shortened life span, when compared to ours.This, combined with the fact that they are completely reliant on our care their entire lives, makes us feel as if we are losing a child when their times comes to leave this Earth.Our veterinarians understand when to shift focus from diagnostics, prevention and treatment to pain management and palliative care.And when the time comes, we celebrate the life of your pet and allow them to pass peacefully over the Rainbow Bridge.At times, arrangements can be made to have this done at your residence.Please inquire by phone. Whether your pet is recovering from surgery or is just coping with age and arthritis, we can help. Our trained team members will help your pet get through their pain to have a more mobile and happier life. Your pet’s happiness and comfort are our primary concerns. Our “daycare” provides a positive environment where your dog can interact with other dogs (and other humans).We focus on a balance between physical activity and socialization with other dogs and lots of love from our caregivers.These are beneficial to keeping your dog mentally balanced and confident in an area outside his/her home. We are blessed to have expert groomers here at My Pet’s.They are trained in low-stress handling techniques, and are proactive about recommending ways to lower anxiety during grooming as well as identify any medical concerns.They LOVE their job, and LOVE making your pet look and feel their best! Who doesn’t love vacation time? If you can take your pet with you, that’s wonderful, but if you aren’t able to, they are welcome to stay with us! We use species-specific pheromones and herbals to reduce anxiety during their stay. We do encourage you to bring a small article of clothing with your scent on it to place in their enclosure, as well as their own food. If the need arises, your pet can be seen by one of our veterinarians for additional treatment during their stay as well, which means peace of mind for you. For ease of check-in/drop off, please review our boarding requirements (click here), and print and fill out our boarding guest info sheet (Click Here).